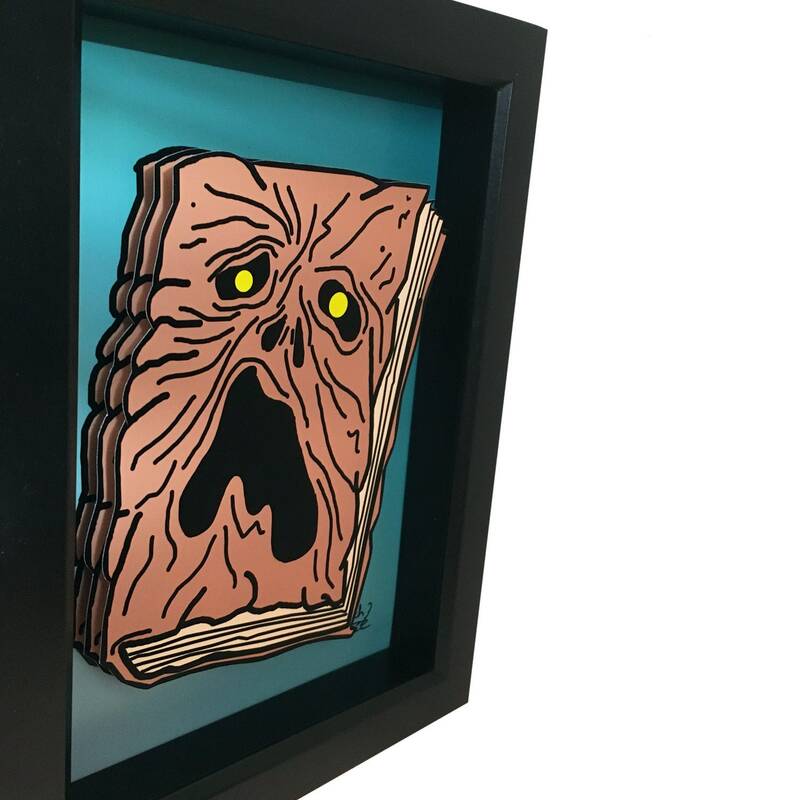 This Evil Dead artwork features the Necronomicon rendered in 3D. The paper cut Necronomicon is hand cut and assembled in 3D. This is the perfect gift for any horror fan! The artwork comes framed in black shadow box frame. The artwork is hand signed.